Christmas is coming, you may have heard, and it's coming quickly! Somehow every year I find myself surprised at how little time there is to prepare to Christmas. Why? Why does it have to be a big stressful event I constantly feel unprepared for? I'm here to tell you (and me) that it doesn't need to be. 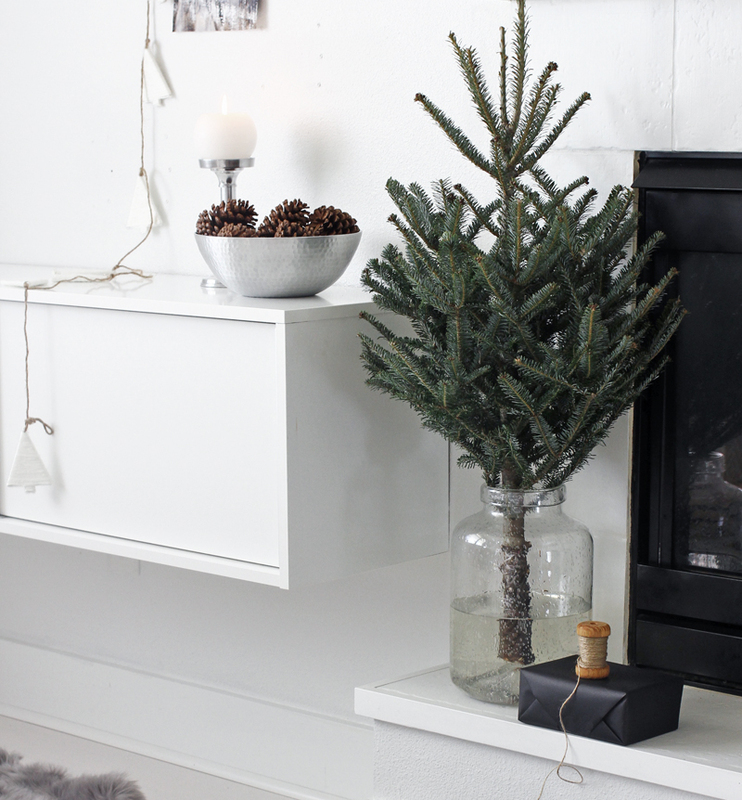 You can do a few simple things to make your environment feel festive without feeling like you have to go all out or spend a lot of time doing so. 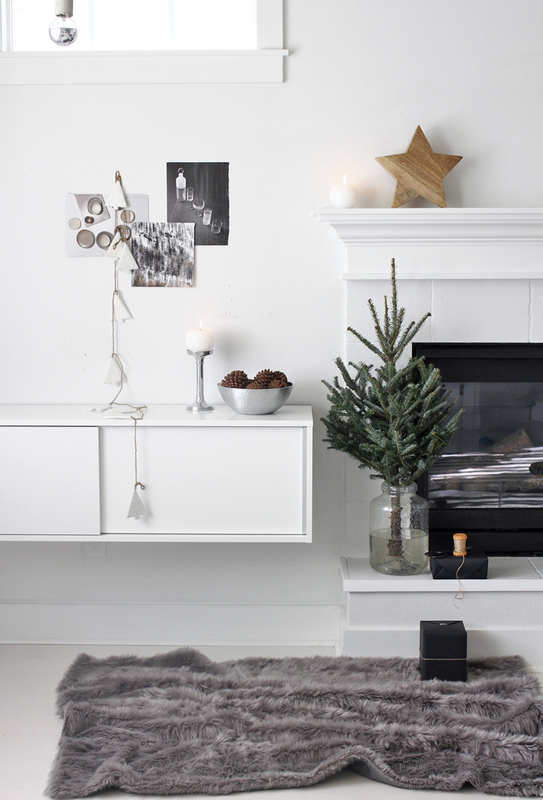 I've collaborated with Target to share a small space sort of Christmas setting. Firstly, I love these table top trees. Some might buy one of these in addition to a large tree but if you have a small house or apartment it works just as well for your main tree. One of the great things is you can stick it in a nice vase or large pot and elevate it on a table, step stool/ladder or on a fireplace like I did. 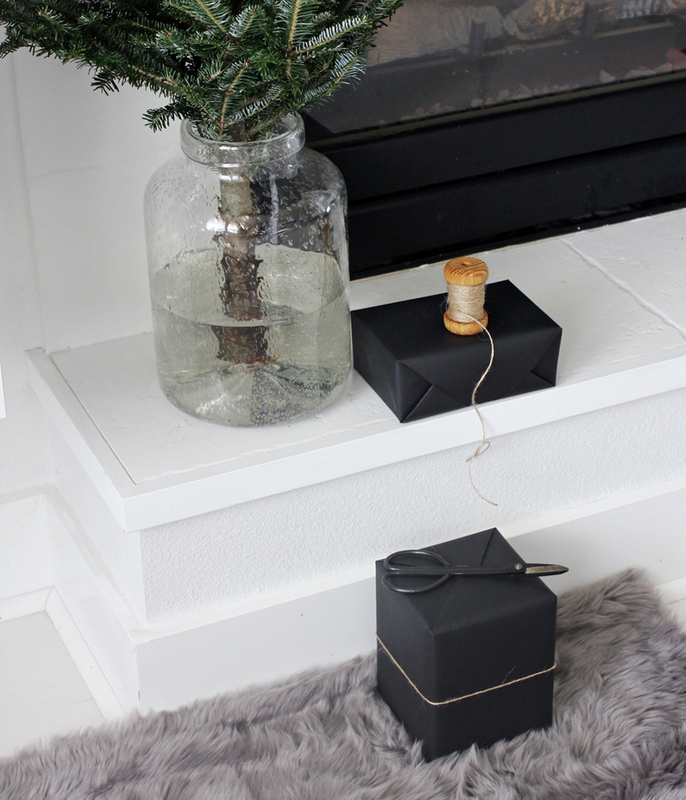 Giving a little height makes your tree seem larger and gives plenty of room for gifts underneath. 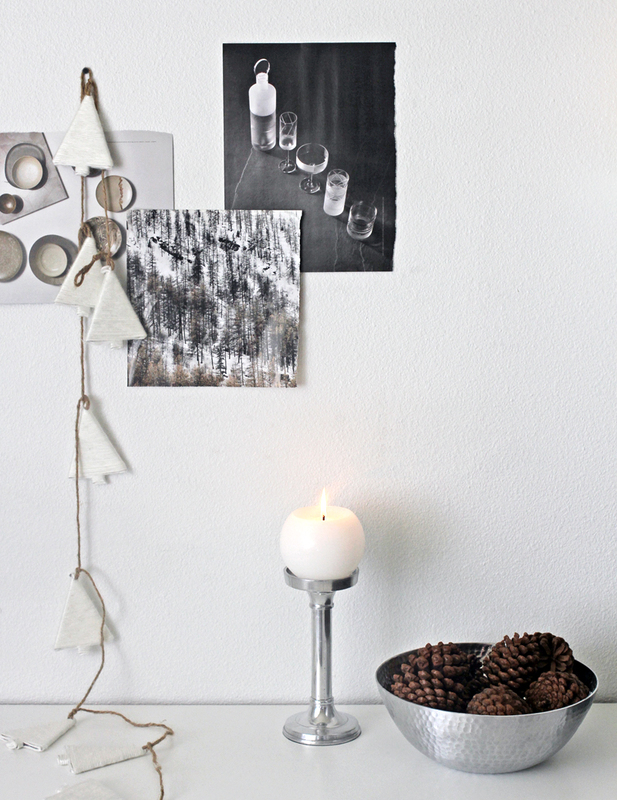 I made a small collage from magazine clippings of wintry images and draped a twine garland to give it a casual look. A hammered bowl (or in gold if you prefer) holds cinnamon scented pine cones and pillar candle holders in a silvery finish with sphere shaped candles can work just as well beyond the holidays. I also really like this wooden star, it adds some softness to the silver, white and green. I also found some chalkboard paper in the holiday entertaining section that I used to wrap gifts. A cozy fur throw can also be used as a rug, a warm place to wrap gifts or soft place to sit by the fire. I love Christmas decor that is subtle, it still works well with your existing space but offers just enough change to get you in that holiday mood! This is wonderful. I love the simplicity of it, especially the set up for the small Christmas tree. Beautiful! I just love the pictures on the wall! Lovely styling! This year we are just getting one of these adorable little christmas trees - very much looking forward to going to get it this weekend!